A successful farmer knows when to buy and when to sell, but the market is a competitive one, which means you must watch your opponents as closely as you watch the market! To be a successful farmer, you must take risk and spend your money wisely. Spend too much on seeds and you won’t make a profit on your harvest. If you take your crop to market too late, the demand and the prices will be low. It is a delicate balancing game of timing everything as well as you can so that the price you paid to plant is returned and a profit is gained when you finally get your crops to the buyers. But even the smartest and savviest of farmers can be undone by the forces of nature and aggressive competition, which makes for a tough business but a perfect game. Fill the Barn, by HoopCAT Games, is comprised of one game board, 110 cards (with 5 blank cards provided for owner customization), and a stack of paper money (in the values of $100, $500, and $1000). The game board and the cards are of high quality and durable enough to last many games. The paper money is not as durable as it is just thin paper. Not included in the game, but necessary, is a piece of paper and a pen or pencil to keep track of any loans given to the players during the game. To set up the game, one player should be selected as the Banker who will be in charge of making change, recording loans, and passing out money to all the players. The Banker should now give to each player two $500 bills and five $100 bills for a total of $1500 per player. While the Banker is hard at work, another player should set the game board in the middle of the playing area and shuffle the cards (removing the blank cards from play). After the deck is shuffled, 5 cards are dealt to each player, face-down. Players should keep their hand hidden from the other players at all times. The remaining cards are placed face-down on the Draw space located on the game board. All players now review their hand. The player with the most Crop cards goes first (with ties going to the youngest player). 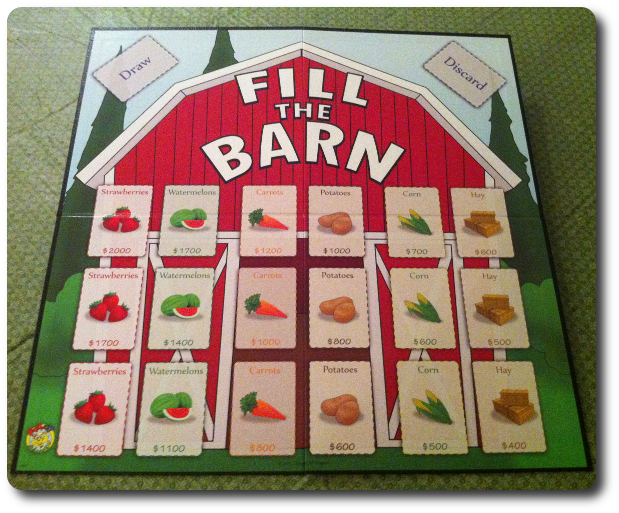 The game board represents the barn the players will “fill” with their crop cards during the game. There are a total of 18 spots that are used to “harvest” a specific crop, for a total of 6 different crops with 3 different levels of harvesting for each. Each harvest spot on the board lists the specific crops current market value with the highest being at the top and the lowest on the bottom of the column. Crop cards are always placed on the highest position first, followed by the next highest, and so on. Once all the harvest spots for that particular crop have been filled, no other cards can be played in that column until a spot is cleared. The Crop cards are what the players are attempting to plant and harvest for cheap and race to the market to sell high. The Crop cards represent strawberries, watermelons, carrots, potatoes, corn and hay (fruits, vegetables, and feed). Each Crop card has a money value listed. This value is what must be paid before the crop can be planted. The Harvest cards allow the player to take previously planted Crop cards and put them on the game board. Like Crop cards, Harvest cards cost money to use and the player must be able to pay the cost of the cards before they can use it. Harvested Crop cards are always placed in the highest slot of the board for that crop. Used Harvest cards are discarded. The Trade cards allow the player to make a blind “swap” with another player. Once played, they are discarded. The Peek and Trade cards are the more powerful version of the Trade card. Instead of doing a blind pass, the player can pick one card from the player’s hand and look at it to determine if they want to trade or not. Once played, they are discarded. The Pass It cards allow all the players to pass one of their cards to a player to the left or to the right, as defined on the card. Once played, they are discarded. These cards represent the natural disasters that could befall even the most organized and careful of farmers. Droughts will cause fields to dry up, bugs will eat the crops, and mice will eat previously harvested crops out of the barn! Once played, they are discarded. These cards represent the actions the players can take to save their crops from natural disasters before they strike and boost their harvest for higher gains. Fertilizer will improve the crops yield once harvested, irrigation will protect fields from drought, and insurance will ensure that a small cost of the lost crops is returned to the player. The barn can hold more than crops. The Junk cards can be placed in the barn in the harvest spots to occupy and make that particular spot unavailable to all the players. Of course, all one needs to do is play the Clean-Up card to get the junk out. Junk cards can manipulate the market by locking out other players or keeping high market value crops unavailable for a short time. On the player’s turn, they can play only one card from their hand, paying any cost as needed. All used cards are placed in the Discard pile (unless otherwise specified) which has a space on the game board. Once a player plays their card, their turn is over and they take one card from the top of the Draw pile, returning their hand to 5 cards. Players are never forced to play a card. If needed, the player is welcome to not play at all and discard up to 3 cards from their hand to the Discard pile, drawing an equal number of cards from the Draw pile. This is called “passing”. Note that a player must always either play a card or discard some cards on their turn when they pass. The only exception to this rule is when there are no more cards to draw, in which case the player can pass their turn and take no action whatsoever. Note that passing does not take the player out of the game. The player can take their turn as normal during their next turn. A player can only play one card at a time on their turn. This means they must watch the market and be as fast as possible to get their crop to the market for profit. This is done by first planting the crop and then harvesting it, making the act of getting the crop to market at least 2 turns. It is very possible to spend more money planting and harvesting the crop than what it will earn once sold to the market. The player must therefore attempt to plant and harvest as low as possible. Of course, this takes time and the longer the player waits, the less space in the barn and the higher the odds of their crop being hit by natural disasters. Times can get really tough for farmers and it doesn’t take many bad investments or just poor luck to put a farmer in financial crisis. Luckily, the Bank can loan money to players in $500 increments per turn. All loans are noted by the Banker on a separate piece of paper. Loans can be repaid, but with an interest of $100 added to the final debt, for a total of $600 due for every $500 loaned. Yikes! 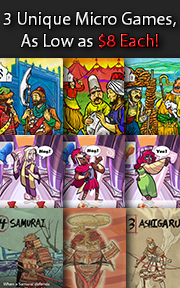 Running Out of Cards: Once the last card is drawn from Draw pile, the game continues as normal but players can no longer exchange cards or draw a card. The game ends if all the player’s pass on their turn. The players now count all their money. The player with the most money wins the game. Filling the Barn: Once the last of the 18 harvest slots are filled (be it with junk or a crop), the player who fills the last slot gets a $500 bonus. The game is now over and all the players now count their money. The player with the most money wins the game. Note: Players with loans that have not yet been repaid suffer a reduction of $1000 from their final money value count for every $500 they have not yet paid back. Put another way, the player subtracts $1000 for every loan they took out and did not repay. 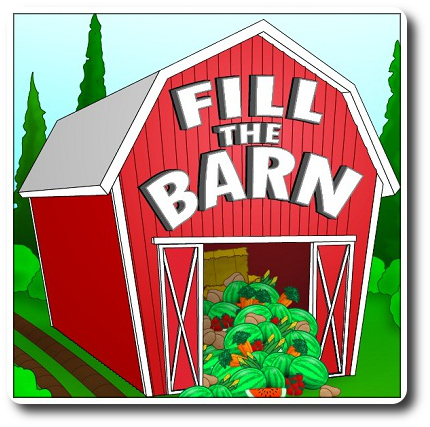 To learn more about Fill the Barn, see the game’s official web site. And don’t miss out on the suggested game variants you can use! For reasons I have not yet been able to fully understand or explain, my family loves games built around the theme and narrative of farming, or better put, producing goods. My little geeks enjoy Nile DeLuxor and love Farmageddon, two games that are all about planting and producing. I theorize that my little geeks like these games because there is an easy to observe cause and effect in the game. You plant a crop, you harvest a crop. These are easy concepts to grasp and provide for an easy conceptual process to follow. There is also a feeling of accomplishment when you “take action”. The process of “doing something” that is somewhat tangible (in respect to the game) can be very rewarding when labor spent returns a benefit to the player. When I pitched Fill the Barn to my little geeks, they were very excited to play it. Explaining the game didn’t take long due to having previous experience with games that use the same or similar game mechanisms. My 4-year-old, after the game was explained to him, opted to be on my team. He recognized the importance of being able to read the cards and do math. Even though I insisted that adding 300 + 300 is no harder than adding 3 + 3, he stated he would feel better if he had me as a partner. Fair enough and happy to do it if he wants to play. There were only a few questions about the game. Mainly, the idea of poor investments. My two oldest little geeks understand the concept of money and how it is used to purchase goods and services thanks primarily to the card and board games we play. 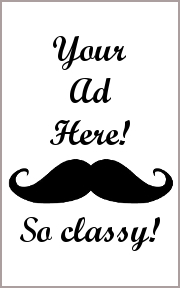 However, my little geeks have little experience in the way of investing. Monopoly, for example, is simply a game of buy-buy-buy for them, even though I insist that the game is really all about flipping properties, much like For Sale (a fantastic card game I really need to review). “Buy Small, Sell Big” is the key to success and my 7-year-old was very much interested in knowing the secret to doing so. 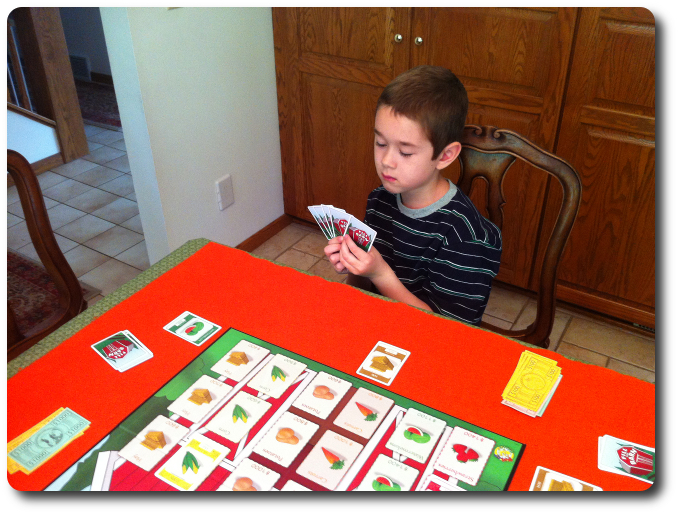 After explaining and showing him several ways the Crop and Harvest cards could be played (for example, demonstrating the planting of a crop for $100, harvesting it for $200, and then placing it in the barn at the market value of $1200), he understood the math and the concept. With an initial investment of $300 and a return of $1200, he did the math and told me he would make $90o in profit! Excellent stuff! I was very proud of him and let him know, which of course, made him cocky. While my two little geeks shuffled the cards and got the game ready, I asked them their thoughts on the game so far. Looks like my little geeks are ready to jump on their tractors and hit the fields! Let’s play the game and see if the fruits of our labor are sweet or sour. The other agricultural themed games provided an excellent base for my little geeks for this game. As a result, they both did very well and made excellent choices most of the time. My little geeks were weak in two specific areas. The first was in their hand management. They would get a cheap Crop or Harvest card and keep them too long. They later told me it was because they were waiting to use them on expensive crops. In most cases, this is pretty solid reasoning, but not in this game. The first player to market gets the highest return. As a result, there is little need to keep Crop or Harvest cards for a long period of time. Harvest cards are useless until spent and Crop cards ares susceptible to being removed while in play. The longer the crop is out there, the more of a risk it is to the player. The second was their math. For the most part, my 7-year-old did an excellent job of making sure he was turning a profit, but not always. He would sometimes plant a crop that had a high demand on the market but then get paranoid about it being on the table and play an expensive Harvest card that greatly reduced his profit. A player must use their hand/resource management skills to do all they can to manage risk vs. reward in the game. When the barn starts to fill up and you see the big numbers tick by, it is easy to understand why a player might panic and sell as soon as possible. The end result for my little geeks was very positive. They both enjoyed the game and how quickly it played. It was easy to see how the cards were used, but timing was sometimes an issue. Parent geeks were the same. They greatly enjoyed the game and had a wonderful time playing it. They mostly appreciated how streamlined the market was and how a player could somewhat guide it for their benefit. Gamer Geeks also enjoyed the game and suggested that Fill the Barn would be an excellent gateway game. Some of the player interaction cards (for example the Pass It cards) didn’t make any sense to them, but it certainly didn’t break the game. At most, it didn’t fit the theme, but overall, they gave it nods of approval and a smile. Their biggest complaint was the paper money used in the game. This was given a solid “thumbs down” by all. Gamer Geeks, this is a light resource game where the players must use timing and resource management in order to get high returns on their investments. The economic model is simple, rewarding those players who can get to market first, but there is enough “gotcha cards” to allow for player interaction to cause mischief and hardship. Well balanced and logical in its approach, the game does an excellent job and is rewarding from start to finish. Parent Geeks, this is a wonderful game to play with your family and friends. Yes, even your non-gamer friends! The game is not at all complex but has an excellent level of depth that makes it well worth playing without ever feeling heavy or complicated. The process of getting high returns from the market is an excellent opportunity to teach and reinforce the concept of “good investments” and money management. Players can go in dept and the end game result is heavy penalties. Math is needed as is reading. Child Geeks, get ready to plant those carrots (yuck!) and strawberries (yum!). Plant your crops and then sell them for lots of money, but be careful of how long your wait to do either. Timing matters but is dependent on the cards you are dealt, like life. Hmm…perhaps a bit too deep for you. Needless to say, you’ll quickly appreciate that it is not enough to be satisfied with what cards you have and can take action to improve your situation by force trades with other players. Make sure you take the cards from your Mom and Grandma, as they tend to always have the most sensible cards. I really like Fill the Barn and really dislike the paper money. I know, something of a small thing, but paper money doesn’t last long and can be creased, rolled, torn, and bent. This makes it hard to play with after a few games. With all my games that use paper money, I use Poker chips instead. Easier to use, faster to play with, and much more durable. Other than my little rant about paper money (which is now over), Fill the Barn is an absolute gem of a game. It is very much a gateway game and can be taught and played in just a few minutes. The easy rules and game play hide the complex game of market manipulation, resource management, and risk management that players must be constantly aware of. Even the best combo of Crop and Harvest cards for exceedingly cheap delivery to the barn could result in no profit or even crop failure thanks to natural disasters. Simply excellent in its execution, smart in its design (other than the paper money), and thoroughly enjoyable, Fill the Barn is a game you should sit down and play the very first chance you get! Tagged Card Games, Children's Games, Farming Games, Father Geek Approved, Gamer Geek Approved, Parent Geek Approved. Bookmark the permalink.